Police released a sketch Wednesday. After a woman was raped in her Manhattan Beach home Sunday, Aug. 26, 2018, police released a sketch hoping to track down the attacker Wednesday. A woman was raped by a man who followed her into her Manhattan Beach home in the 900 block of Valley Drive. The man hadn't been found by Wednesday. Police released a sketch and asked the public for help in finding the attacker. After a woman was raped in her Manhattan Beach home, police released a sketch hoping to track down the attacker Wednesday. 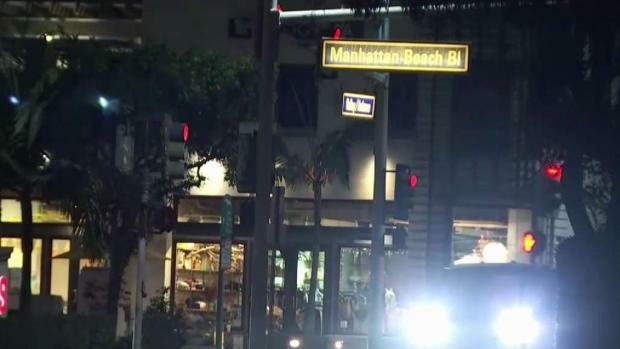 A woman was followed home and raped in her Manhattan Beach home. Gordon Tokumatsu reports for NBC4 News at 5 p.m. on Aug. 28, 2018. The suspect is described as being in his early 40s, 6-feet 2-inches tall with an athletic build, possibly a thin mustache and medium complexion. He was wearing tan shorts, a dark T-shirt and gray tennis shoes.